Op-amp pedal delivers tons of high-gain power. MidValleyFX has released the Double-Amp Distorter, a new high-gain op-amp distortion pedal. Features include Volume, Gain and Tone knobs, a switch to choose between two different silicon diodes and true bypass on/off. The pedal runs on 9-volt operation and standard DC input. 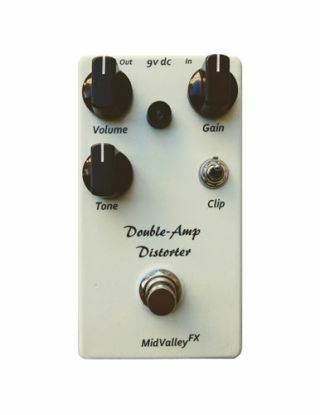 The Double-Amp Distorter is available at MidValleyFx.com for $125.